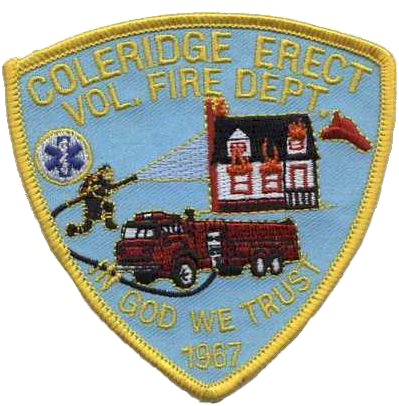 The Coleridge-Erect Volunteer Fire Department serves a population of just over 3,600 citizens in a 79 square mile district in Randolph County, North Carolina. With 32 volunteers, our fire department responds to nearly 400 calls per year providing fire protection service and assisting Randolph County EMS with emergency pre-hospital care. We operate out of two stations. Station 9, the headquarter station is located at 4495 NC Hwy 22 S, Ramseur. Station 10, our sub-station, is located at 5085 Fork Creek Mill Rd, Seagrove.